In today’s hyper-visual world, a solid luxury brand website design is a brand’s most important digital asset. A brand’s website is the home base of its overall digital marketing strategy. The place where all of its online marketing channels begin and end. A luxury brand website is no exception—perhaps even more so. The luxury brand as a whole is defined by the exceptional experience it provides—so the luxury customer visits its website with the same expectations of a first-class experience. But what exactly makes a luxury brand website a success? It’s about more than just what it looks like. Yes, a stellar luxury website should be beautiful, but it also needs to provide the functionality for an exceptional user experience. Despite what your mama told you, when it comes to the luxury website, what’s on the outside does matter. Luxury consumers want to be wowed—and you want to capture (and keep) their attention. Your website is not the place for your company to strike out—whatever aesthetic has come to define your brand in the eyes of your customers should dictate your web design. Are you sleek and modern? Classically elegant? Hip and funky? Then your website should be, too. Your site needs to convey your luxury brand’s personality and present your products in the same meticulous, thoughtful way that it would in-store, through traditional marketing or on social media. Alas, good looks will only get you so far. A pretty website should never come at the price of the user experience. A bad experience is a poor reflection on your company. What does that mean? Here’s an example: We know that page loading time is critical to a good user experience on any website. Make a consumer wait more than 2 seconds for a page to appear and chances are, they’ll bounce. So while that animated splash page may look incredibly cool, if it slows down the works, it’s gotta go. Same goes for navigation on your website—visitors need to be able to find what they are looking for, and they generally don’t like surprises. So the clever page names and shrouded navigation may have to be replaced with useful menus and properly linked and labeled pages. We probably don’t need to tell you (again) that a mobile-friendly website is an absolute non-negotiable at this point—not just because Google says so, but your customers do too. The fact is that the majority of luxury consumers are using their mobile devices to access the web wherever and whenever they want—and having a mobile-responsive design means your website will be looking its best on any device. It also means you’ll be providing that first-class user experience visitors are expecting. So instead of side scrolling, pinching and zooming to see a page that doesn’t quite fit, users will enjoy a seamless navigation no matter how they are accessing your site. Better navigation means a better user experience–which means happier visitors who want to return. 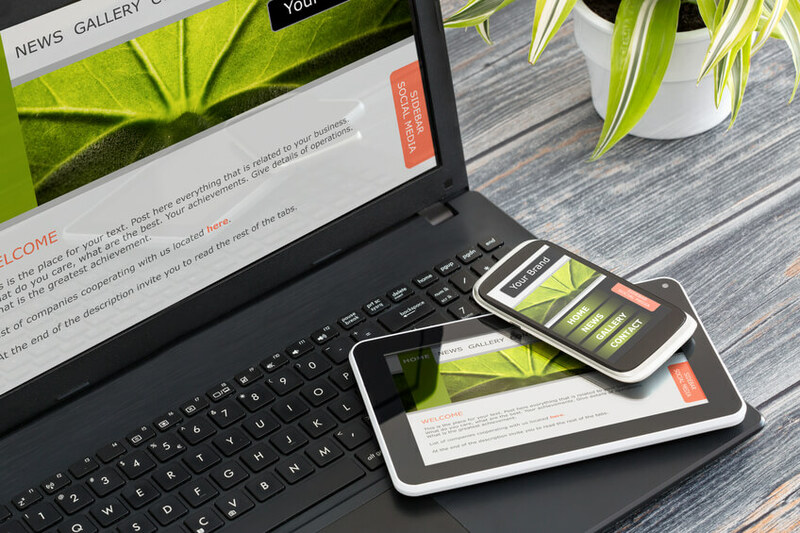 The only thing you might hear about more than mobile-responsiveness lately is content. Simply put, content is king, and that’s not likely to change anytime soon. Regularly creating and publishing fresh content on your website, in the form of high-quality, on-topic blog posts, is critical to keeping your audience entertained, engaged and coming back for more. It also plays into what we know about the luxury consumer’s desire to display their status. Serve them up smart content that makes them look good, and they’ll share it on social media all day long. At the end of the day, it doesn’t matter how amazing your luxury brand’s website is if your customers can’t find it. So giving Google what it wants to see is critical. By focusing on the must-haves above, and striking that balance between luxury design and seamless functionality, your site is already well on its way. Sites that rank best in search engine results are well-designed with a clear and consistent layout. They are easy to navigate, quick to download, and offer a flawless user experience. They offer fresh, targeted content and are optimized to perform well on any device. When you’re ready, luxury brand website design company CMDS would love to help. Give us a call!